Fourth grader Randy Sabien dreamed of playing rock and roll drums in a group like the Beatles. He ended up playing the violin instead. Fourth grader Gary Rue dreamed of playing rock and roll guitar in a group like the Beatles. He did! 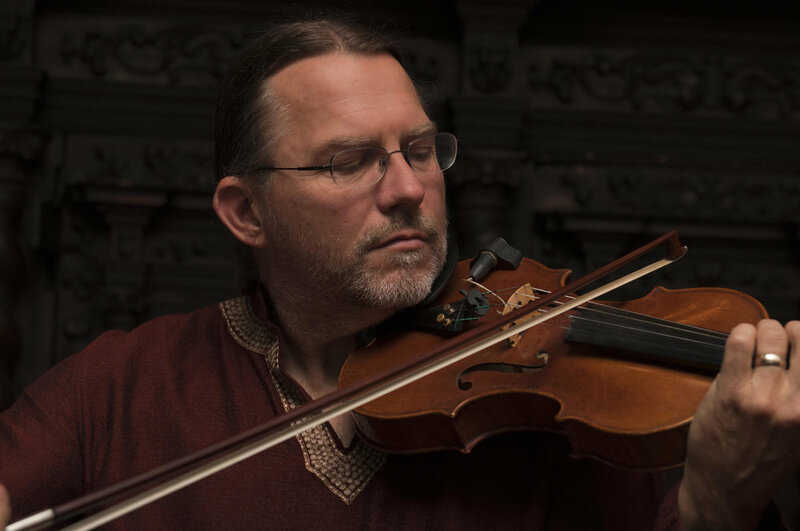 Randy and Gary bring decades of stage experience to Crossings for a rare appearance combining jazz violin, original songs, Americana roots, and British Mersey Beat stylings. They might even play a Beatles tune. Or two. Gary Rue is well known to regional audiences for his work with Wire, Thumbs Up , Nip and Tuck, and Curtis A, but he has also enjoyed a 50 year career as a songwriter for national and international artists. Other artists include Robert Robinson, Prudence Johnson, Butch Thompson, Pat Donohue, Debbie Duncan, Rio Nido, Mary Jane Alm, The Rose Ensemble, The Mavericks, Honeydogs, Willie Murphy, Leslie Ball, Dan Chouinard, Maria Jette and of course, Randy Sabien. Randy Sabien describes his sound as “Bob Wills meets Art Blakey (be-bop) meets the Allman Brothers (blues rock).” You can expect to hear classic Western swing tunes such as “Maiden’s Prayer,” an instrumental version of a Grateful Dead song, “Stella Blue,” or a swinging Duke Ellington tune, “Mr. Gentle and Mr. Cool.” Just as Will’s Texas Playboys. Sabien has toured the world playing in different styles and with many greats of the music world. $8 Members/$12 Nonmembers TICKETS AVAILABLE ONLINE HERE.